I am not a proponent of buying options on whims or for pure speculation. Sure, you can win big, but the odds are stacked against you. In fact, studies have shown that more than 76% of options expire worthless. But there are exceptions. As long as you use a proven system to buy the underlying shares, then you have increased the odds of winning. Let’s take value investing as an example. You would think that the last thing a value investor would touch would be an options contract. 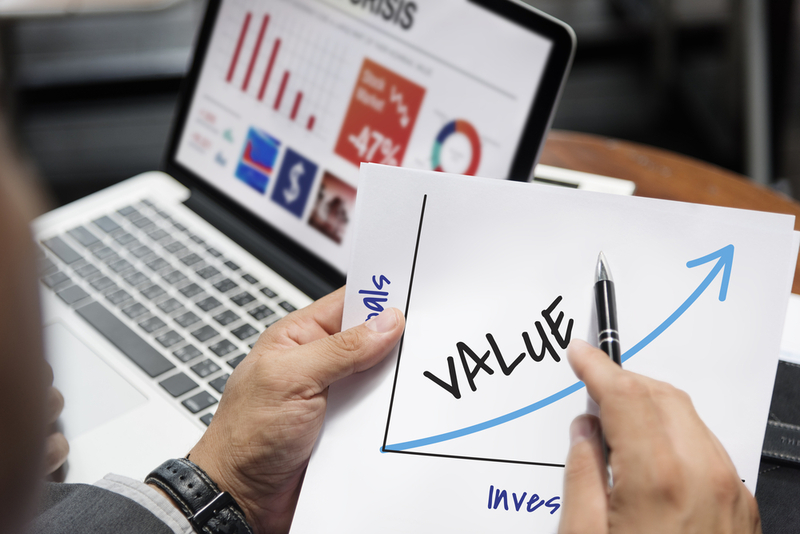 After all, value investing used to be synonymous with the buy-and-hold strategy where investors hold on to shares for long periods. That’s not the case for many investors today. Market volatility and uncertainty has been part and parcel of the market since the internet stock crash and the general market crash. This created a market where even so-called value stocks trade like tech or biotech stocks. The key is to spot when these stocks will approach ridiculously low valuations and do something about it. For example, there is a sale going on in the agricultural fertilizer sector right now. Companies like Nutrien (NYSE: NTR) and Mosaic (NYSE: MOS) are trading at compelling valuations that are well below their all-time highs, set just a few years ago. There are many reasons why, chief among them being the fallout from slower global growth that followed the last recession. Some large countries like China and Brazil slowed down crop planting. While in the U.S., the slow growth led to fewer purchases. However, these companies are in the business of population growth, and that is not going to slow down significantly. Demand for their products are now increasing as economies worldwide recover. Both companies have strong balance sheets. They’re also coming off the bottom of their earnings cycles. Insiders at both companies have been buying shares on the open market. Buy the shares and risk a lot of money, anticipating that these low dividend-paying shares will rise. Take a position in the options market in anticipation of quicker returns, should the companies begin to report better numbers or increase guidance. Do both by taking a large stock position and a smaller options position. My favorite approach to a situation like this is to use longer-term options known as LEAPS (long-term equity anticipation securities) options. These allow you to mimic the move of the underlying shares for up to three years, all the while spending a fraction of what you would spend on the shares. But LEAPS are like any other option, and they do have an expiration date. And you do pay a premium over the share price for the privilege of leverage. If you are looking to accumulate a position in a value stock at even lower prices, you can sell put options on the company. This will allow you to generate income with the hope that the shares will fall and you can snag more on the cheap… or get paid for trying. However, if the shares don’t fall, you may miss the upside. So you may still want to buy some shares and sell some puts. Another way to use options to find value would be to engage in a high-delta trade where you buy an option with a strike price below where the shares are trading. This can give you a dollar-for-dollar move with the stock without paying much premium on the option. The option does expire. That said, since you bought an option with a high intrinsic value, if the shares stay where they are or move up slightly, you will not lose as much as an options buyer who was buying out-of-the-money calls would. Options can be used in all sorts of ways. They key is to use them with an underlying system that has been proven to work over time. Otherwise, you may as well just spend the money on something nice for yourself… because the probability of you ever seeing that cash again is very, very low. Does Bitcoin Belong in Your Retirement Portfolio?